Set your destination to anywhere with the fully versatile and capable Honda HR-V. This adventure-inspiring crossover SUV offers all of the practical features a Birmingham, AL driver would want and more. You’ll find the HR-V comes standard with an adaptable interior cabin that features an assortment of intuitive technology, an engaging exterior with an ultra-sleek design, and an unmatched driving performance that excites. While being able to fit up to five passengers comfortably, you’ll instantly notice how much more available space there’ll be for everyone’s cargo. This not only allows for an extended trip, but a much more pleasant one with its collection of intuitive technology. Speaking of a fun ride, the HR-V offers an exceptional driving performance that is fully capable of handling the most challenging of road surfaces. For the first time since its debut in 2016, the HR-V has received some significant upgrades. These changes include newly refreshed exterior style elements like a bold and edgy new front grille, dazzling LED daytime running lights, and an overall more refined and sporty appearance. But the updates don’t stop there. The cabin of the 2019 HR-V is packed with standard features and available upgrades geared to make every drive inside this subcompact crossover extremely comfortable, safe, relaxing, and enjoyable, no matter where the road takes you. The Honda-exclusive Magic Seat makes the cabin supremely configurable, so you can easily shift the space around to accommodate your changing cargo-versus-passenger needs. This makes all the space inside the HR-V remarkably functional. Among the five available 2019 HR-V trims, there’s bound to be one that’s just right for your needs, desires, and budget. Don’t just take our word for it, though. Stop by Brannon Honda today and test drive this amazing crossover. You’ll fall for its value and its versatility – and you’ll love the savings we have to offer. Initially engineered and produced in 1998, the Honda HR-V only became available to the North American market in 2014 with its premier of its second generation models. This new lineup seamlessly replaced the Honda Crosstour, while sharing the same platform as the third-generation Honda Fit. Being an acronym for Hi-rider Revolutionary Vehicle, the subcompact crossover SUV was designed to provide the benefits of SUVs, such as increased cargo room and higher visibility, along with the maneuverability, performance and fuel economy of a smaller car. Buying a new car is a long-term commitment. You’re going to be spending almost every day driving it for many years to come. 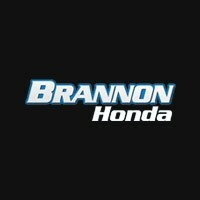 At Brannon Honda, our main goal is to help match drivers in Vestavia Hills, Bessemer, Homewood, and Central Alabama with a vehicle that fits their lifestyle. At our Honda dealership in Birmingham, AL we will take the time to get to know what you want and work with you to ensure that’s exactly what you have when you leave.